OIS-Three/OIS-Three Plus has an incomparable high power beam toany other ion beam assisted deposition systems. Uniform irradiationcovers an entire dome with 1600 in diameter. OIS-Three/OIS-ThreePlus is most suitable for mass production of sophisticated opticalfilters when equipped with OTFC-1800. Newly developed grid has long life. Long life and less contamination. 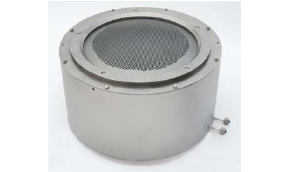 Higher uniformity of ion density with a wide coverage over adome with 1600mm in diameter. Great stability and non-stop operation for longer hours.